What is the meaning of the song Con Te Partiro? “Time to say Goodbye” or “Con te partirò” (Italian: [kon ˈte ppartiˈrɔ]; “I will leave with you”) is an Italian song written by Francesco Sartori (music) and Lucio Quarantotto (lyrics). It was first performed by Andrea Bocelli at the 1995 Sanremo Festival and recorded on his album of the same year, Bocelli. 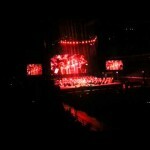 Andrea Bocelli live in KL – 04 – YouTube. 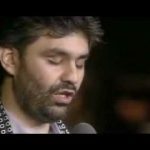 TAL & Andrea Bocelli – La vie en rose (Hier encore) HD – YouTube. Andrea Bocelli – “Canto della terra” (official video) – YouTube.